Gigantic Gets a Release Date! Thanks to Perfect World, things are moving in a better direction. Just today, the game received a sizable update that introduces bot matches, a revamped tutorial, voice chat and more. Going further, Motiga is offering a login and play bonus to all players across each platform (Xbox One and Arc/Steam/Windows 10 on PC) in celebration of Gigantic’s last month in Open Beta. Gigantic will launch on July 20th. Players looking to get an edge on the competition can purchase a Founders Pack for $29.99 (down from $39.99), gaining access to all 18 current heros, two upcoming heroes and additional unique rewards. I’d personally recommend jumping into the Beta before making any purchases of course. 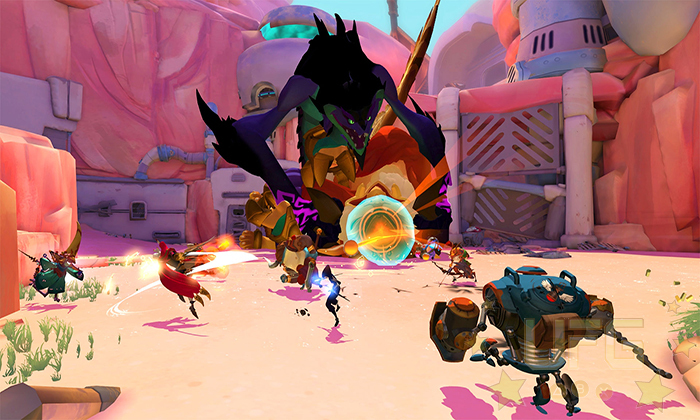 Though I did enjoy playing Gigantic on PC/Xbox One, it can be a bit intimidating at first. Whatever you do, don’t forget to check back here as we continue to follow this title!